Wanted: People to help TomTom create maps in paradise. It's a tough job but someone has to do it. You could be spending two weeks on a tropical island helping upgrade sat nav maps and earning £10,000 into the bargain. Update: You have until the 28 June to enter for the chance to help TomTom map St Lucia. 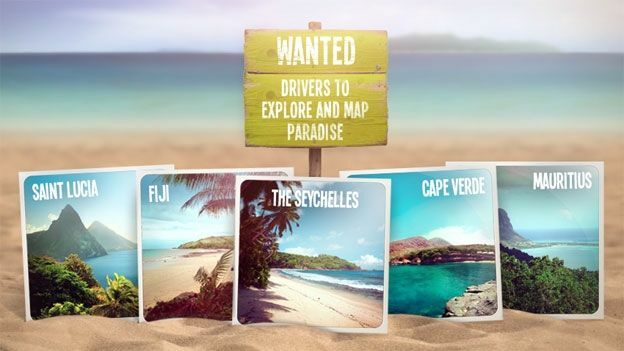 Sat nav specialist TomTom is offering five families, or groups of friends of up to five people, the chance to win one of five all-expenses-paid dream trips to help literally put paradise locations on the map as part of a new Map Paradise project. The winners will land a once in a lifetime trip to help create five new navigable maps for: Fiji, St. Lucia, Mauritius, Cape Verde, and the Seychelles. They'll also get £10,000 for their troubles. So what are the criteria? The competition is open to entrants from the UK, US, Canada, France, Netherlands, Belgium, Spain, Portugal, Sweden, Norway, Germany, Austria, Switzerland, Finland, Denmark, Brazil, Argentina, Mexico, Ireland and South Africa and all you have to do to get your name in the hat, is write a short entry explaining why you're the best person to map that particular destination. No mapping experience is needed, but TomTom is looking for people who enjoy exploring beautiful places, don't mind great weather and who have a decent sense of direction. Winners will have the chance to experience first hand what it takes to produce the maps that we all use inside our sat navs. "This project will not only create five new navigable maps, it will also give people a unique insight into how our maps are made. And where better to start mapping, then on a beautiful paradise island,” said Corinne Vigreux, managing director, TomTom.